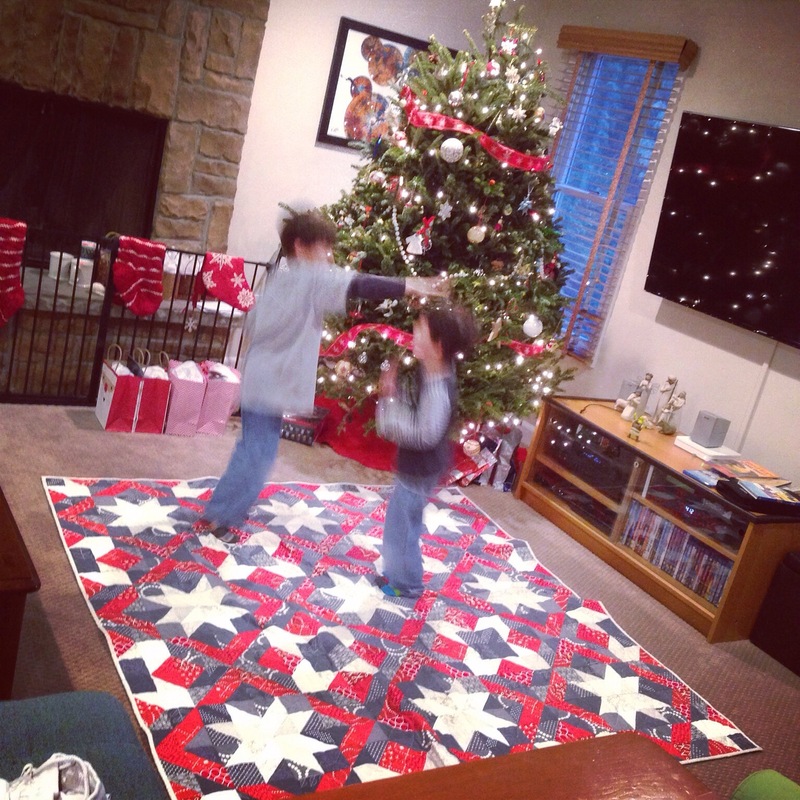 I did finish the Christmas quilt in time for Christmas, and the boys did their quilt-christening dance on it by the tree. I hope you’re enjoying a wonderful holiday with your family. 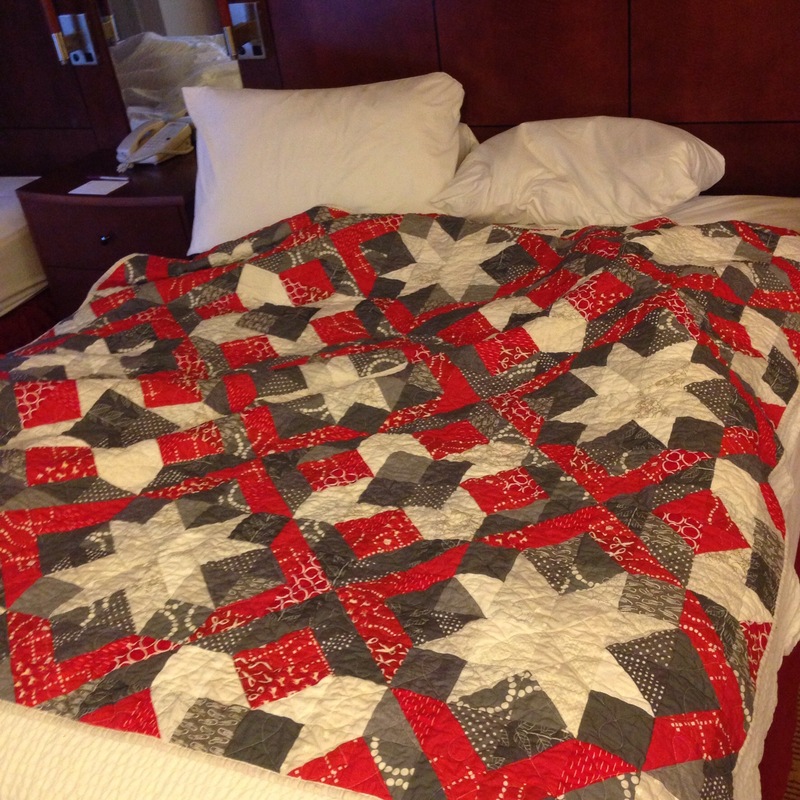 I’ll be back in a few days with my Quilts of 2014 post. Merry Christmas! Hurray for a timely Christmas finish! Love the colors and fabrics you chose.